You don’t earn the NMMA’s Innovation Award for following status quos: you earn it for challenging them. 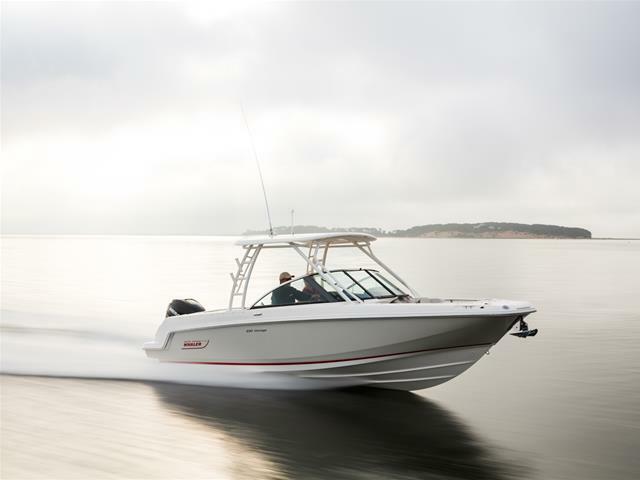 Boston Whaler’s dual console 230 Vantage received the win for reimagining the possibilities capable in a 23-foot boat. 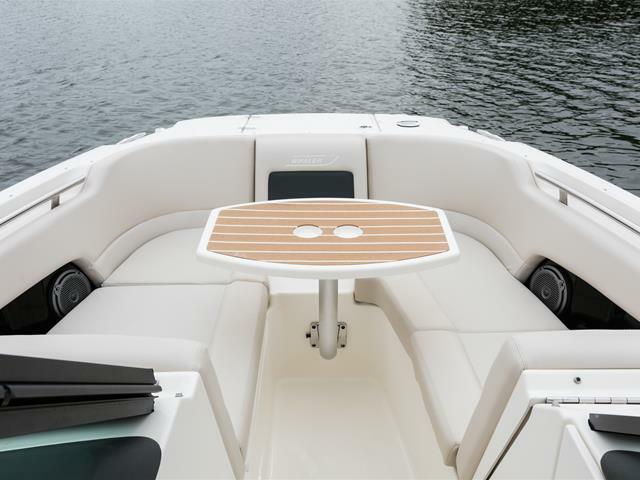 For starters, seating is top-notch: the uniquely convertible port lounge seat with storage faces either forward or backward, so you can face your guests or watch the sports action behind the boat. 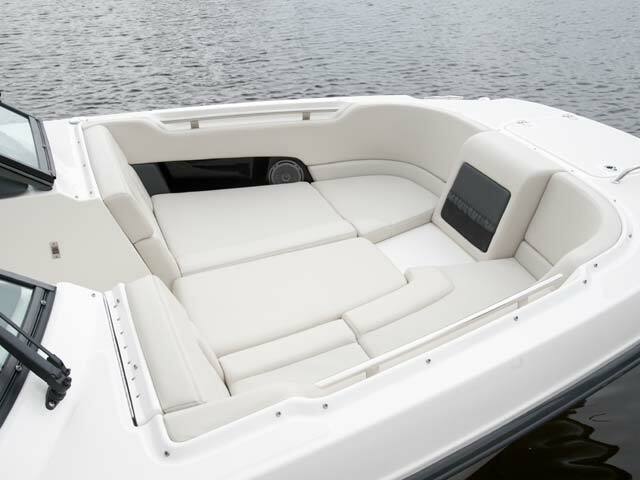 Bow seating is expansive and ergonomic as well. 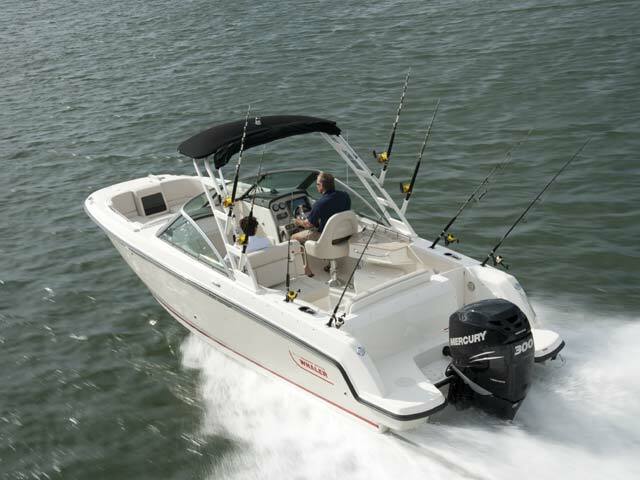 And even as it delivers incredible comfort and rugged luxury, the 230 packs a wallop in terms of power and capability. 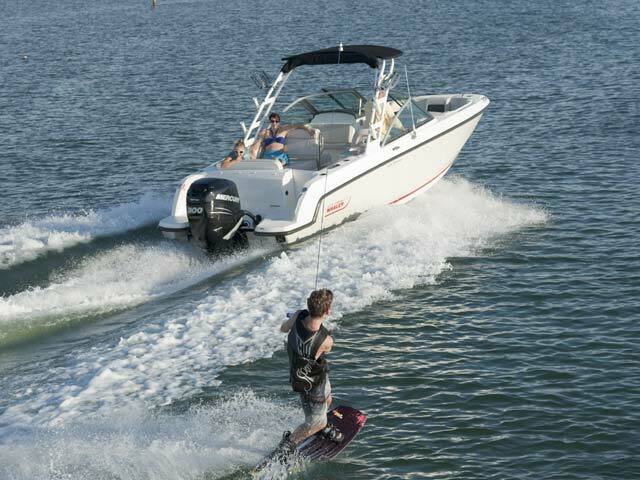 For wakeboarders and skiers, the watersports tower and standard 225-hp Mercury Verado FourStroke engine offer thrills for days. 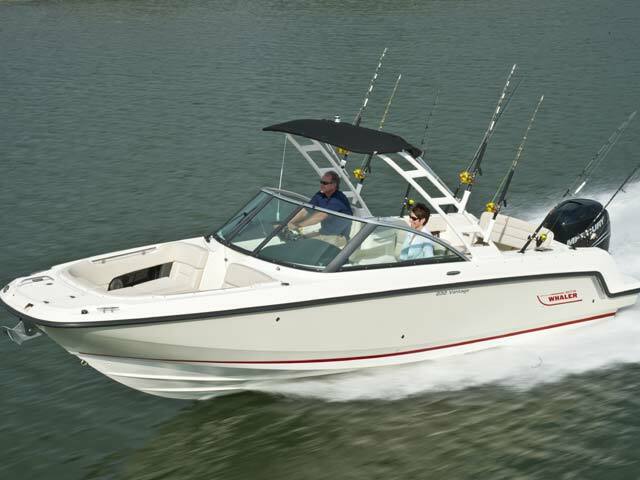 Anglers can head offshore with confidence; the impressive optional fishing boat package adds a 14-gallon livewell, a raw-water washdown, transom-mounted rod holders and more. 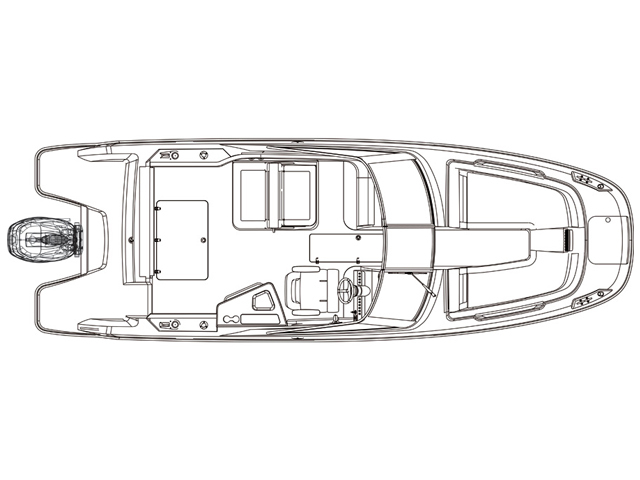 And as a yacht tender, it’s in a whole different class than any inflatable or RIB. 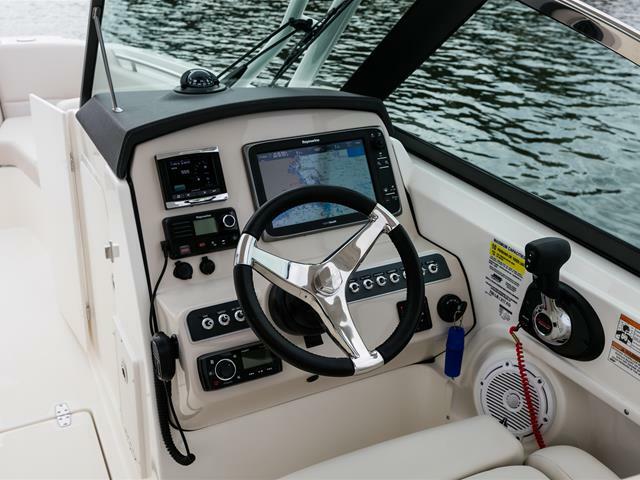 Thanks to the Vantage’s accessible head featuring a molded sink with drain and lockable entry door, and a new high-capacity Yeti cooler, every crew can journey longer and farther in comfort.